Hello, my name is Autumn and I'm addicted to the color yellow. I love bright pops of color in my home, if you haven't noticed. There is just something about lightness in an interior space that is inspiring to me. 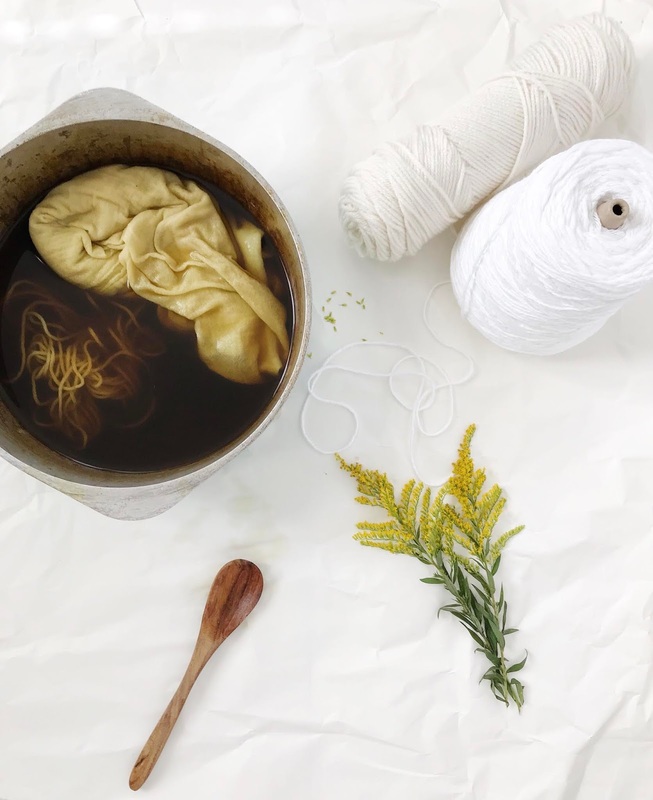 Yellow is my go to color when I want to brighten up things in my home. Here are some interior spaces with pops of yellow, thank you pinterest! My bedroom, there is all kind of yellow in there! 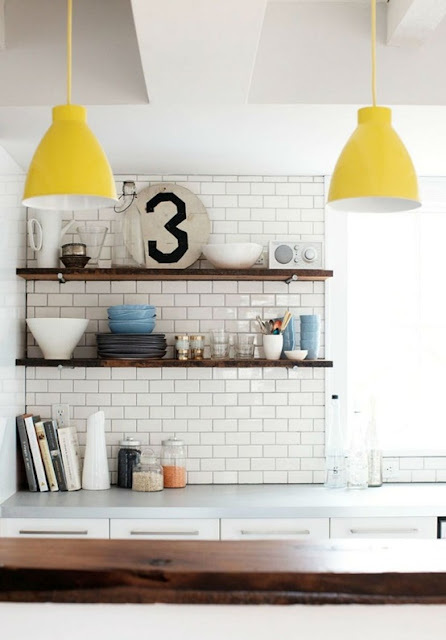 I love the black and white color pallet of this kitchen, with the pop of color on the light fixtures. This fireplace is absolutely gorgeous! 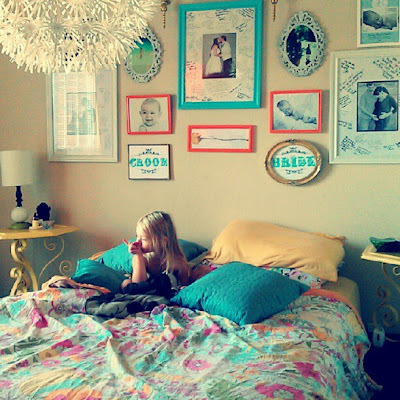 I love the gallery wall above as well! I love dramatic headboards, and the yellow frames and upholstered stools tie it all together. 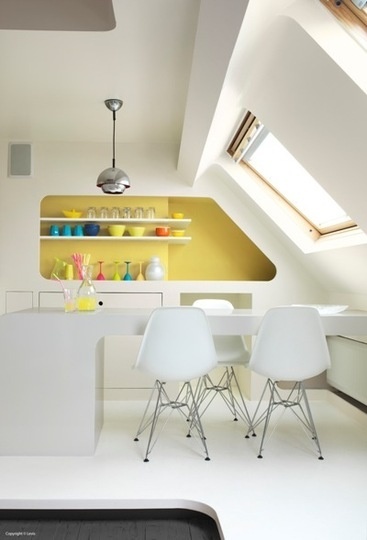 This super mod space has clean lines and just the right amount of color. The colors in this space are very peacock-esque. 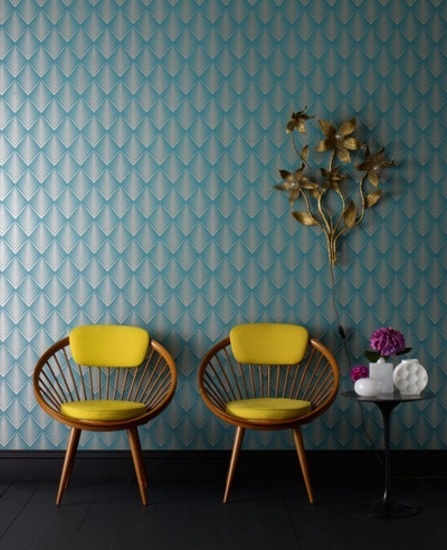 I love the yellow on the chairs against the teal walls. 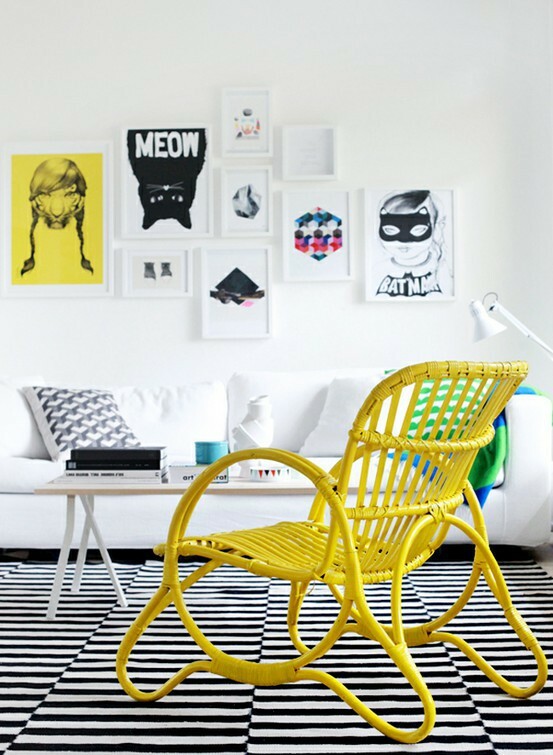 This amazing chair makes the entire room, oh and that killer wall art! Yellow and grey were meant to be together. Everything about this space is picture perfect! I love how rustic and modern this is at the same time. All of the natural wood and yellow decor stand out and really make a statement. Plus, fake taxidermy is always a winner. The "peacock-esque" one is one of my all time favorite pins, the wall, chairs and floor are just perfect! I know, i love the touches of purple too! so gorgeous! This post just completely spoke to my soul. 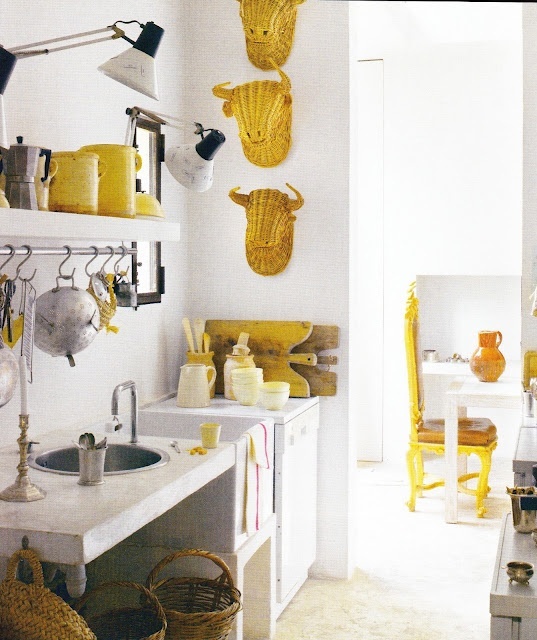 I LOVE the color yellow in interiors (I'm not really much of a yellow clothing/accessory type of person). 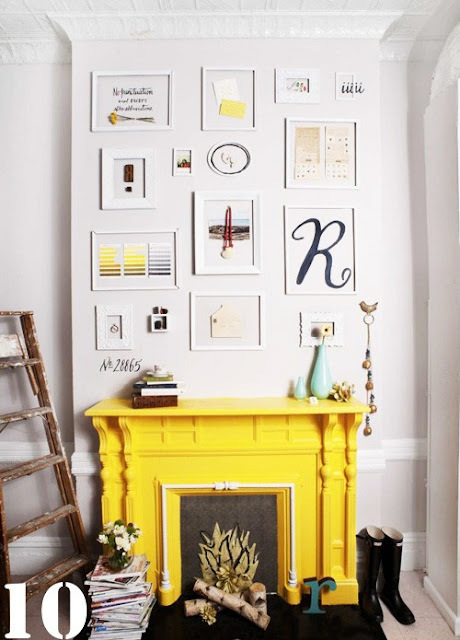 My favorite picture is that yellow fireplace though... blew me away. I also love the pairing of yellow with bright blue-so pretty! Thank you, i'm glad that you like! I am also in awe of that fireplace! It's amazing! i love this!! yellow is such a fun color! Isn't it!? It just brightens everything up! I'm in love with yellow, too. Our kitchen is white & wood & gray. With accents of sunny yellow. Makes me so happy. That sounds so pretty! Thanks so much! ooooh so lovely! I loooove yellow. It occurs to me now that I don't have nearly enough of it in my house.